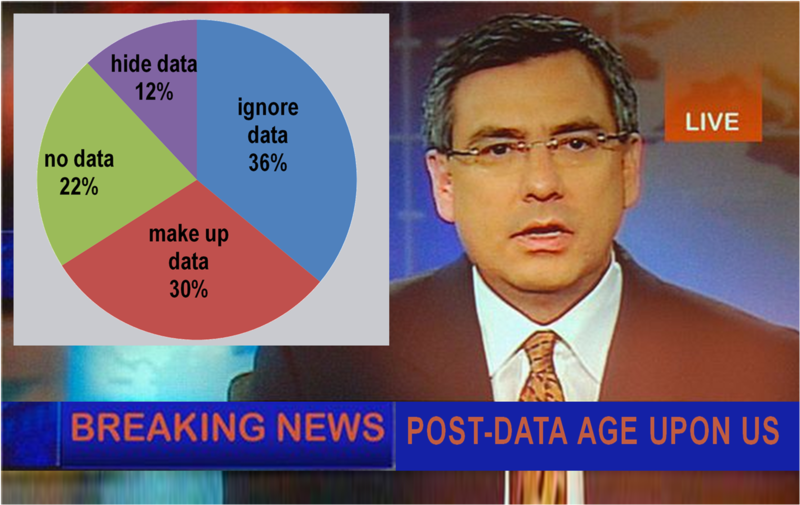 Nice post, question: Did I miss the data age or did we just skip from the pre-data age to the post-data age? Is the difference just that we have data now and did not before? We certainly have more data now than in the past, but that just adds insult to injury. In the post-data age, we use data to convince ourselves and others of what we want to be true rather than use data to discover what may be true. Data are weapons, not tools. One lesson for evaluation that could be learned from this election is that, to get good data for predicting and making decisions about the future, we need to look beyond the surface data and statistics. We need to understand the deep contextual forces involved and how they affect what we see on the surface. Context is everything. We can account for it in many ways reasonably well, and many more ways poorly. There are incentives to do so poorly–it’s not merely a lack of technical understanding. I fear these incentives are insensitive to our negative assessment of them.